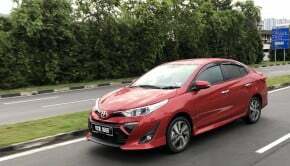 In conjunction with the first-ever Vios Challenge to be held in Malaysia this month (August 12 & 13 at Batu Kawan, Penang), UMW Toyota Motor (UMWT) has prepared a special edition of the Toyota Vios, namely the Vios Sports Edition, which will be available for a limited period of time with a price of RM85,300 (without insurance). 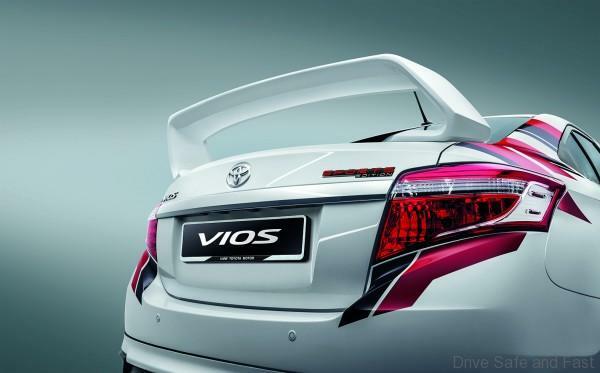 The Vios Sports Edition is street-legal. More than just a special edition with additional cosmetic accessories, the Vios Sports Edition comes with sports suspension kit that replaces the standard shock absorbers and coil springs. The kit is specially tuned to provide better stability during cornering without sacrificing ride comfort. As opposed to the standard Vios, the suspension on the Sports Edition has been lowered by up to 27 mm. This brings the centre of gravity lower to the road thus reducing body roll during cornering. 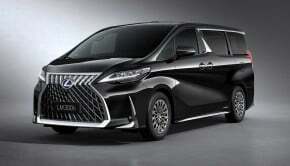 It will also enhance stability and give the driver more confidence. 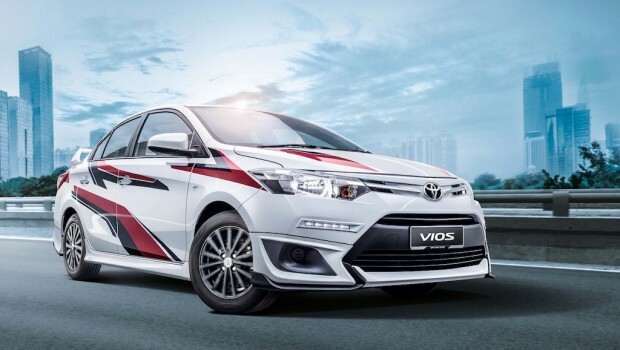 The external appearance of the Vios Spots Edition has been inspired by the specially-prepared racing cars that will be used by all the participants in the Vios Challenge, with dynamic bold stripes covering about 40% of the bodywork. Transforming the Vios into a more aggressive-looking street machine is a custom 5-part aerokit, which consists of a front bumper, side skirts and a distinctive rear wing spoiler. The aerokit improves the aerodynamic performance of the car by reducing turbulence that causes drag. 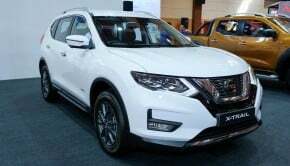 The lower front bumper air dam and side skirts also reduce the amount of air flowing underneath the car, enhancing high-speed stability. At the rear, the large wing spoiler influences the airflow so that downforce is generated. 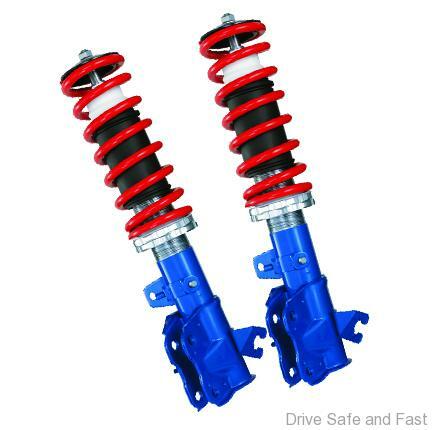 This improves stability at the rear end of the car for better handling and grip at high speeds. The Vios Sports Edition also comes with exclusive alloy rims finished in black. The darker colour of the wheels gives a nice contrast with the white body colour. 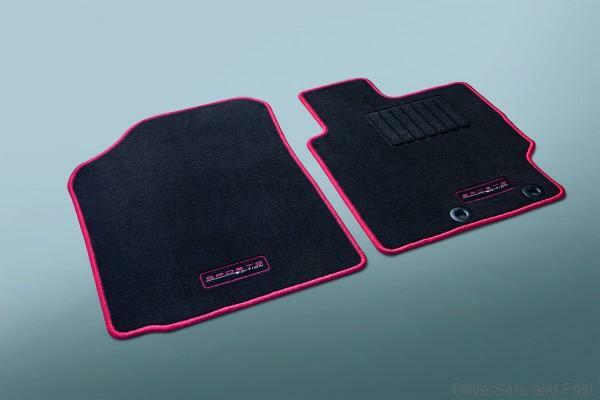 The sporty theme continues inside the car with exclusive fabric seats and ‘Sports Edition’ emblem on the carpet mats. Besides a sports gear knob, the door sills are fitted with scuff plates with amber illumination to provide protection to the bodywork while complementing the sporty image. Amber illumination is also provided in the front footwells to offer better visibility of the area. 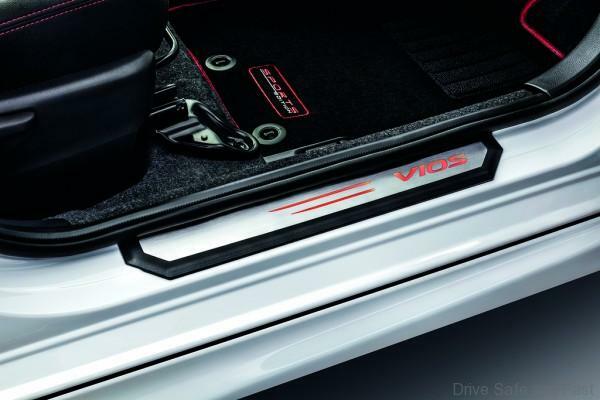 The Vios Sports Edition is powered by the proven 1.5-litre Dual VVT-i engine and CVT. 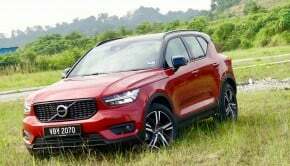 It also comes with a full package of safety features that includes ABS, Traction Control, Vehicle Stability Control, Electronic Brakeforce Distribution and Brake Assist. Customers purchasing the Vios Sports Edition will also receive complimentary Sports Edition merchandise which consists of Toyota Gazoo Racing (TGR) polo shirt and cap that can be customised with their name, and a Sports Edition tumbler. 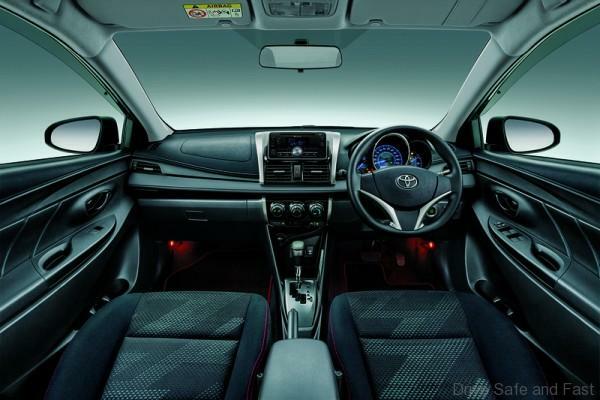 As with other Toyota models distributed by UMWT, the Vios Sports Edition can also be ordered with additional optional accessories such as Panoramic View Monitor for visibility all around the car during parking; and Digital Video Recorder which records video of the road ahead. Customers can also upgrade their infotainment unit with two optional systems. The DVD-AVN system has a DVD player with 7-inch capacitive touchscreen, smartphone connectivity, Wi-Fi, internet browser, voice recognition capability, HDMI and USB ports, Bluetooth, Navigation and a reverse camera. As an alternative, the DVD-AVX system which has a 6.8-inch touchscreen, radio tuner, MP3 file compatibility, voice recognition capability, AUX and USB ports, Bluetooth and a reverse camera. For added comfort and security, customers can opt for Toyota Premium Security & Solar Film which not only reduces heat inside the cabin but also strengthens the glass around the car so that it will not shatter. Those who require only tinting can order the Toyota Essential Solar Film which will prevent strong sunlight from entering the cabin. As with all tinting films offered by UMWT, the tinting level meets JPJ regulations and there is full compatibility with SmartTag units. All accessories, including those for the Vios Sports Edition are manufactured to the same high quality standards as the rest of the car. They are installed at UMWT’s own accessories centre by trained personnel and are covered by a warranty. As with other Toyota models distributed by UMW Toyota Motor, the Vios Sports Edition also comes with a 5-year warranty with unlimited mileage.